Earth Hour is held this year on March 30th 2019 (https://www.earthhour.org.au/) This is when millions of people in over 180 countries switch off their lights as a symbolic gesture to show the need for stronger climate action. 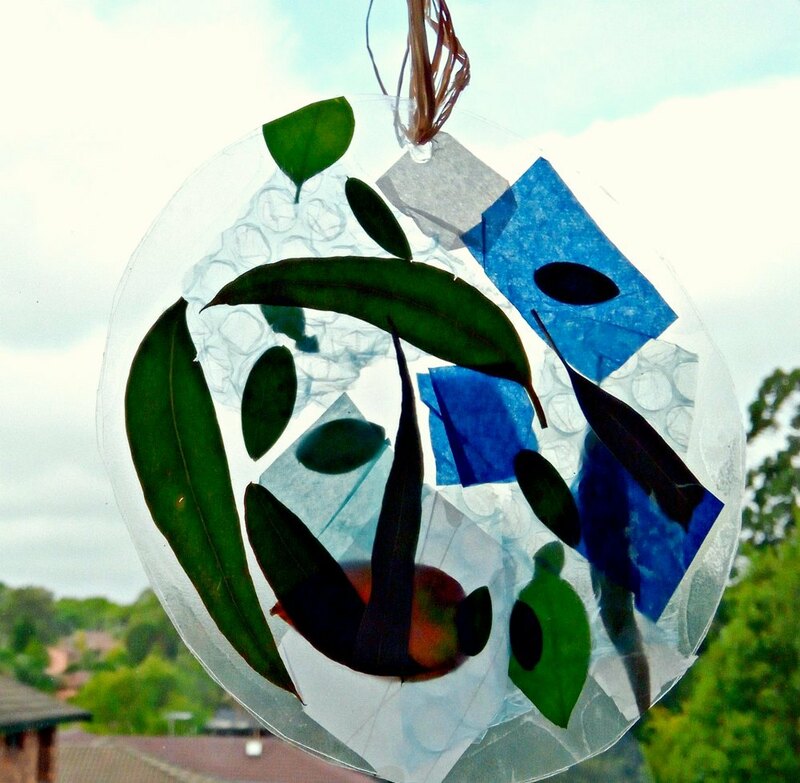 To introduce youngsters to Earth Hour and to start conversations about our Earth and caring for our planet we made these cute Earth Suncatchers. 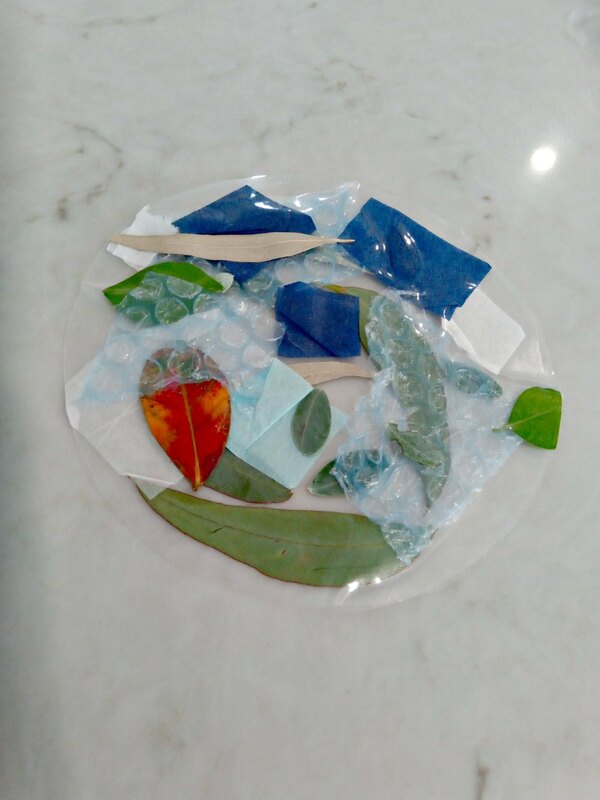 We used collected Gum leaves and other leaves from the garden to represent the land and blue tissue paper and blue tinted bubble wrap from our recycle box for the water. 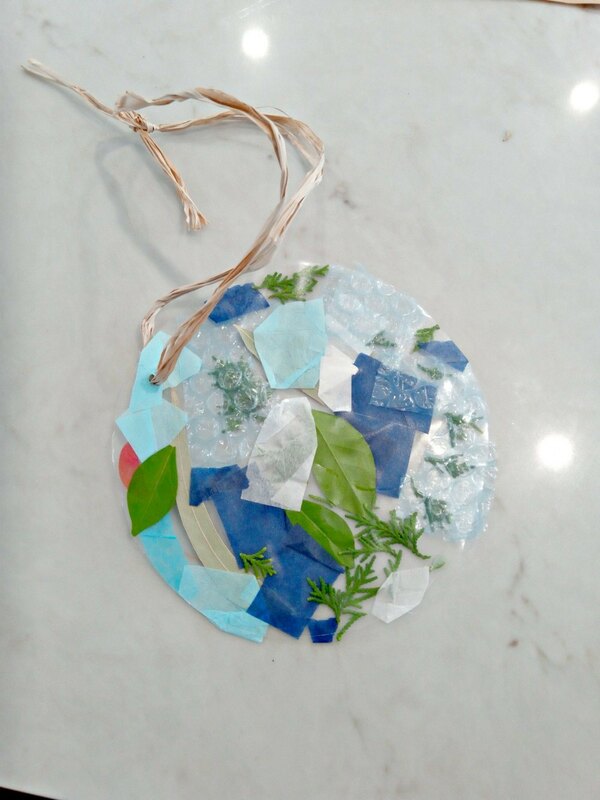 String or ribbon to hang your Earth. and a circular shape to trace around we use a bowl. 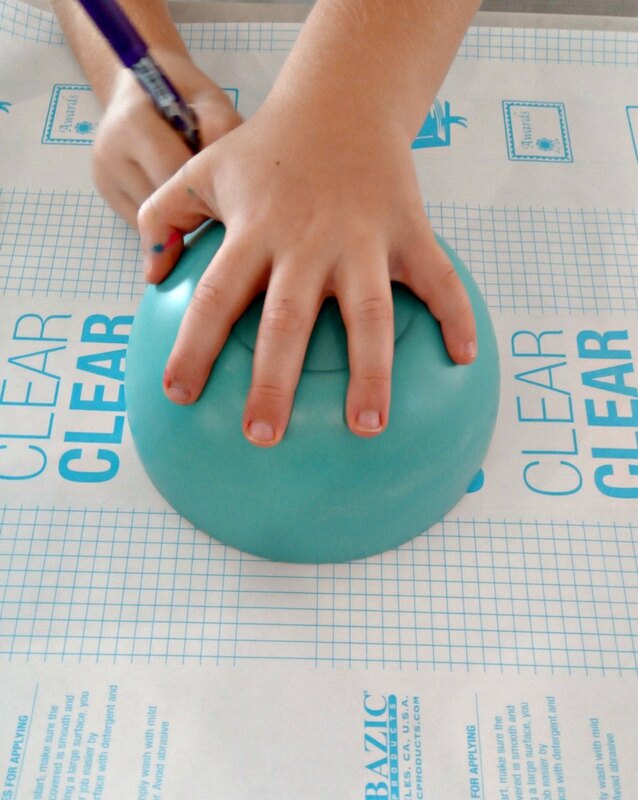 To start we traced around our bowl on the adhesive book wrap to make circular shapes and cut them out. You’ll need two circles for one Earth. Then we peeled the backing off one circle and made our Earth by layering our water and land. 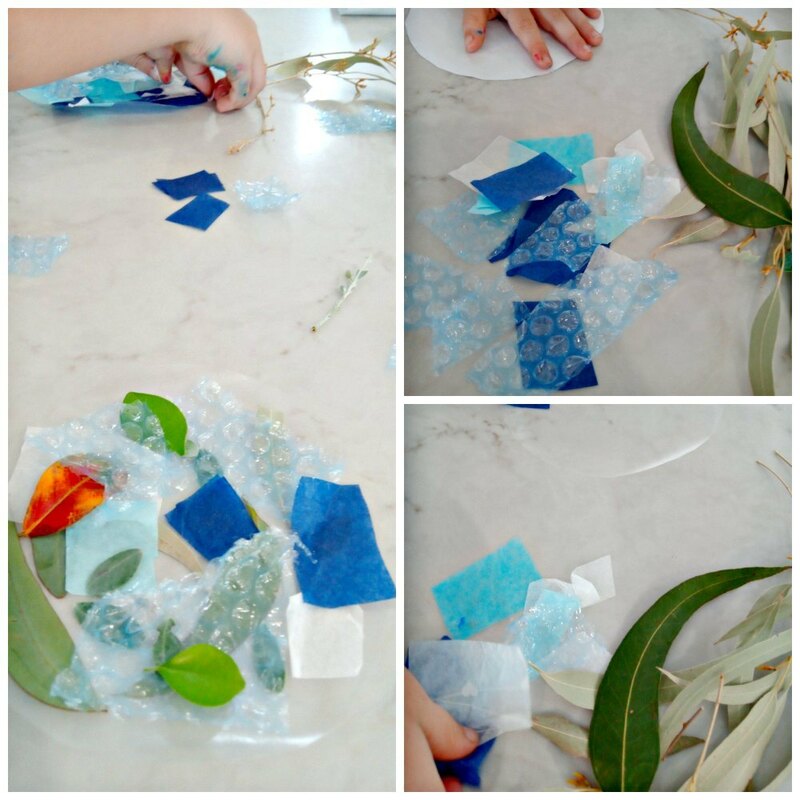 We used Gum leaves for the land and tissue paper and bubble wrap for our water but you can use whatever you have but something which light can be seen through works best. When you have finished your Earth secure together by sticking the second adhesive circle on top. Use your scissors to make hole in the top and use your string or ribbon to hang your Earth. Our beautiful Australia and its awe-inspiring natural landscapes and magnificent wildlife are being impacted by climate change and Earth Hour is just one of the ways we can participate in sharing awareness, educating and reminding ourselves to care for our planet. Crafty Bel is here to help stimulate little imaginations and spark a creative flame in little people. Inspired by May Gibbs’ own passion for creative writing and art, Bel helps educators and mums to embrace nature inspired creativity.